I cannot help but love this cheery sunflower print at the moment. It is so sweet and summery... I plan on rocking the print all season long. 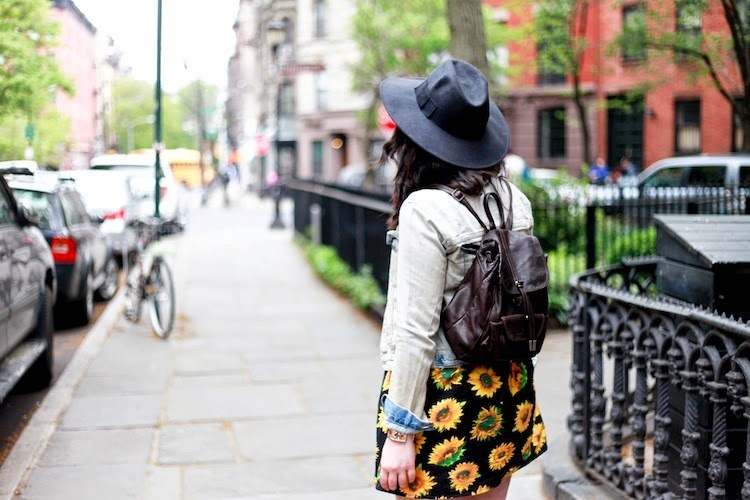 I have also been beyond obsessed with this backpack by Lancaster Paris. Pretty sure it has not left my side since I recieved it! Anyway, I hope you all are having a great Thursday, and I just wanted to say thanks so much for your kind words and support in my last post. It means a lot knowing I have such amazing and supporting fans. Y'all are the best! Ugh this outfit is so perfect. I've been looking at several leather backpacks lately and haven't been able to find a single one within my pricerange that looks as nice as yours. The sunflower print is gorgeous as well and makes me feel so summery even though it's gloom and doom up here. This dress is a summery way to do black. Love it! 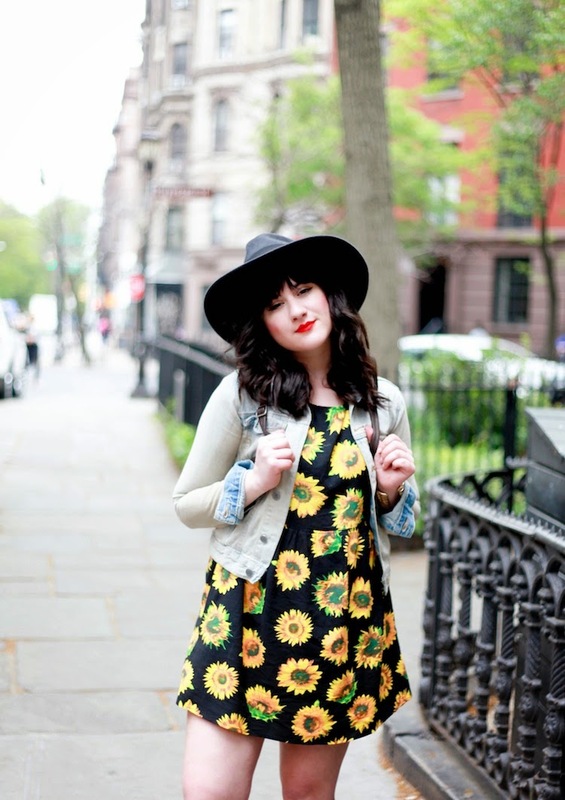 Awww I love this sunflower dress! So bright and cheery - def the perfect summer staple! 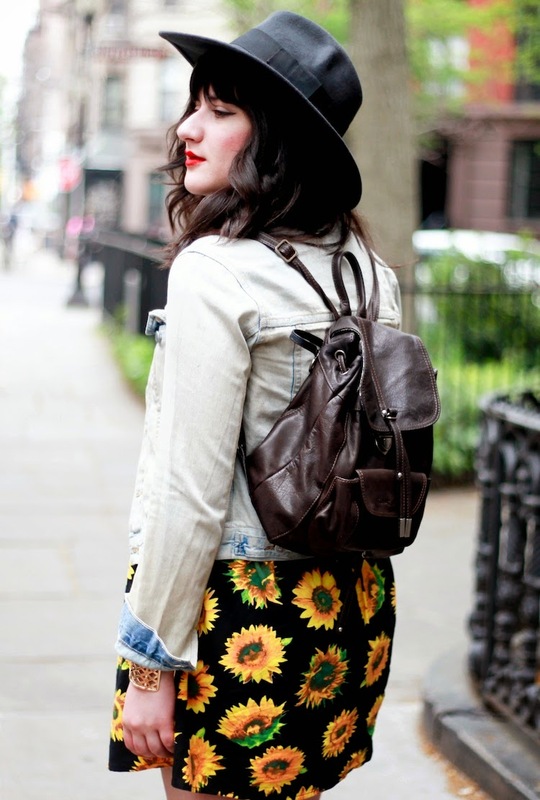 Love this look, flower prints are always great! oh my, i want this dress!! it's perfect! Lovely sunflower dress, cute as always, Bonnie! Bonnie, you da best bb <3 Don't let the bastards get you down! Love this outfit <3 I just want to shop through your closet! You're so lovely! I love the sun, but am really glad it's a cloudy day. 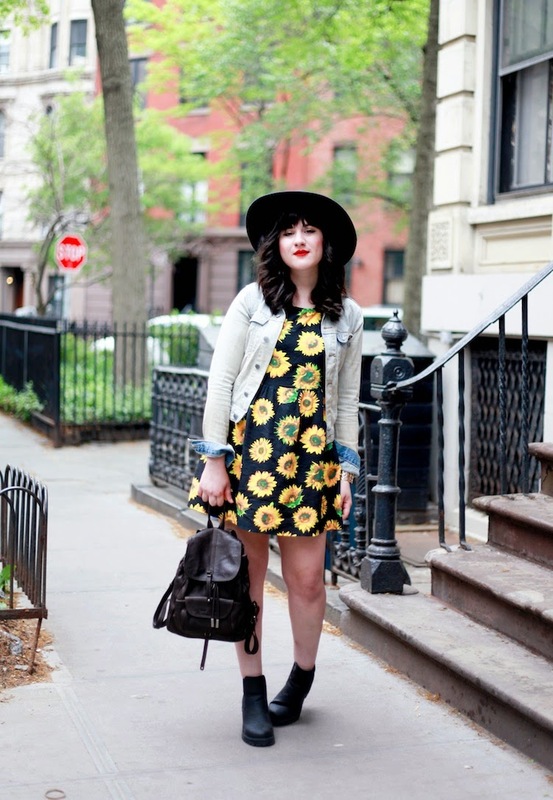 Rockin the sunflowers, darling! Love this, that dress is so pretty! The colourful bright sunflower print on the black background of your Asos dress is beautiful and cheery. There was a nice steady soaking rain today where I live and everything will be growing like crazy. You look fabulous. I hope you have a wonderful Friday and Memorial Day Weekend. Wah keren dan mantap sekali nih informasinya, salam sehat aja yah. mudah2an makin rame aja webnya . terimakasih sudah posting dengan postingan yang sangat bagus dan informasi yang bermanfaat gan ..
Men Accessories ,Men suits online ,mens slim shirts, men formal shirts, men suits on sale ,Wedding Suits, slim suits,slim fit shirt,Slim Fit Suits,Suit online , Regular Fit Suits,Slaters suits,shirts italian style,shirts italian brands,Buy Wedding Suits,Mens Suits,Designer Mens Fashion Clothing Supplier in UK,Buy Wedding Suits Manufacturers in UK,Mens Suits Supplier in London,Designer Mens Fashion Clothing Exporters in UK ,claudio lugli, claudio lugli shirt, claudio lugli sales.